Short drive to Powhatan on Saturday morning for the inaugural Belmead Trail Fest 50K. Very well-organized, friendly event on a fun course. I was able to hang on to men’s third place with the unremarkable time of 5 hours, 6 minutes–though it did get me a $30 gift certificate, which works out to almost $1 per mile. 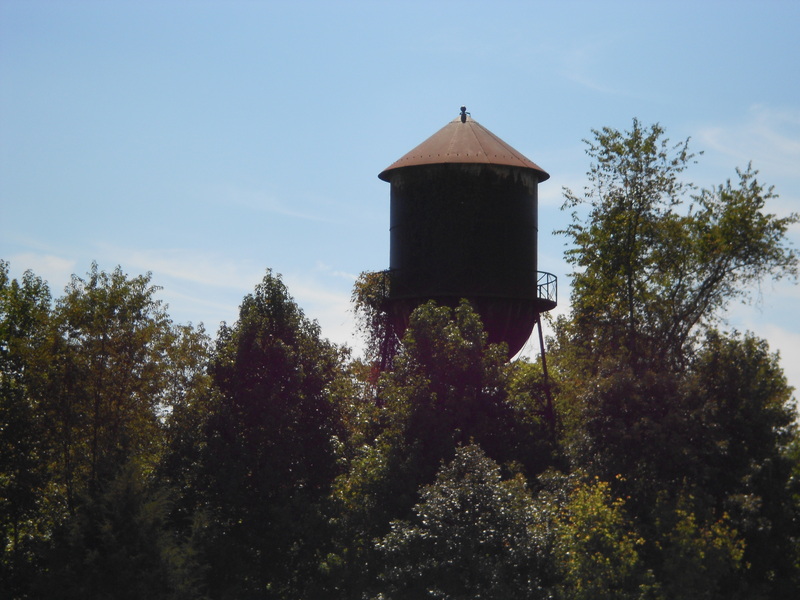 I asked Melissa to take some cool pictures of the course, and I got this water tower.